They don’t call Vegas the Entertainment Capital of the World for nothing. This weekend we’re really living up to the name. We’ve got pop music, we’ve got ’80s music and we’ve got enough comedians in town to keep you laughing for days. You’ll need some food to keep you going through all of that and we’ve got that covered too. Neon Trees will be rocking The Cosmopolitan of Las Vegas. 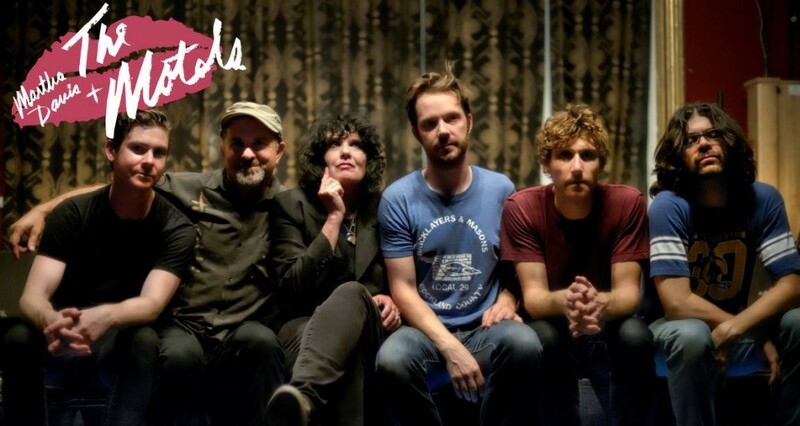 The Motels will take you back to the ’80s on Fremont Street. We love ’80s music and when we can watch great ’80s bands for free, we love it even more. Head downtown to the Fremont Street Experience June 13 for their free Rock of Vegas concert series. This weekend features Martha Davis and The Motels, The Tubes and The Smithereens. We’re breaking out our lace Madonna gloves and neon tank tops as we speak. Get ready to laugh with Eddie Izzard. Need a laugh? Then Vegas is the place for you this weekend. There are several comedians in town and they’ll have you in stitches no matter what kind of sense of humor you have. Former “Tonight Show” host Jay Leno headlines at The Mirage June 13. This clean-cut comedian jokes about stuff everybody can relate to and you aren’t likely to hear any profanity at this show. Head over to The Venetian on June 13 for a not-so-clean show from the “Queen of Mean,” Lisa Lampanelli. If you’re offended easily, this isn’t the show for you. If you’re not, sit back and laugh at her sarcastic humor and brash remarks. Comedian Eddie Izzard performs at the Palms June 12 – 13. Izzard is best known for his unique, tangential, absurd and surreal comic narratives that are lauded for their creativity and wit. If you like Monty Python-style humor, this show’s right up your alley. BLT Steak will be participating in EAT (RED) DRINK (RED) SAVE LIVES. Las Vegas restaurants are turning (RED) in June to raise money and awareness for the Global Fund to fight AIDS. EAT (RED) DRINK (RED) SAVE LIVES features special dishes, drinks and tasting menus at local restaurants that will help raise money to provide life-saving HIV/AIDS medication to those who need it most. One hundred percent of each participating business’ donation will go to the Global Fund to fight AIDS. 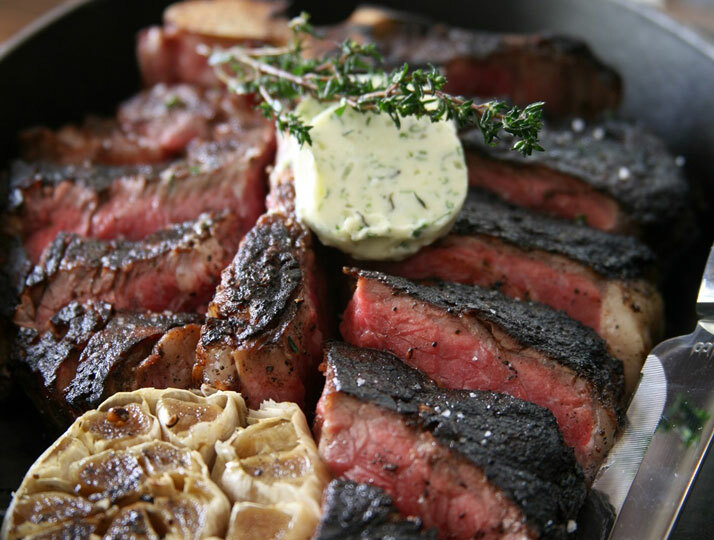 Las Vegas restaurants participating in the campaign include B&B Burger & Beer, B&B Ristorante, Carnevino Italian Steakhouse, BLT Steak Las Vegas, Northside Café, Cleo Las Vegas, Umami Beer Garden, Bazaar Meat by Jose Andres, Sushi Roku, Ku Noodle, Katsuya Las Vegas, Otto Pizzeria Las Vegas and more. Visit www.eatREDdrinkRED.org to find out where to EAT (RED) Drink (RED) SAVE LIVES in Las Vegas. 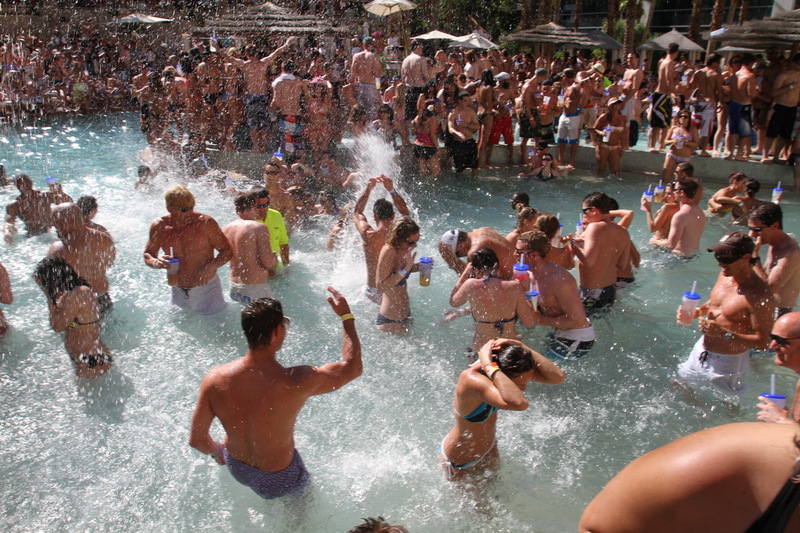 Party in the pool this weekend at Rehab at the Hard Rock Hotel. Rehab at the Hard Rock Hotel is the hot place (literally and figuratively) to be this weekend if you’re looking for a pool party. Things kick off Friday, June 12 with the Rehab Fridays Backyard Pool Party featuring Dee Jay Silver. On Saturday, June 13, Rehab debuts this year’s Bikini Invitational. The sizzling summer-long bikini contest lets ladies compete for $100,000 in cash and prizes. Partygoers can also hear a DJ set by Crystal Hefner. The weekend wraps up Sunday with sounds from DJ Pauly D.